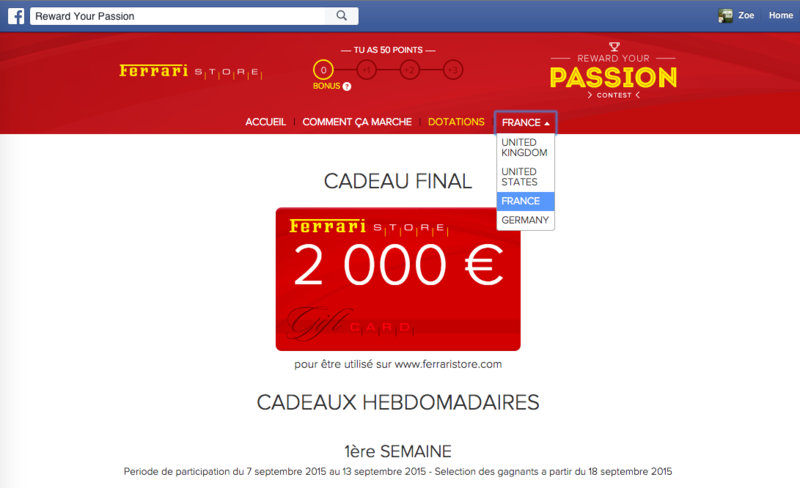 Facebook app to run an International sweepstake to promote the Ferrari Store website and products. Launched and managed in UK, USA, France and Germany. Managed all legal and creative aspects.